A fish tank is a home within a home. Decorating this tiny home by using household items is all about giving it a personal touch. It is a valuable addition to your home interiors. Studies have proved that gazing at a decorative fish tank has health benefits too. It creates a soothing atmosphere and spreads a positive energy across your living space. Decorating the fish tank is an exciting work. The more attractive your tank is, the more appealing your home interior will look. As mentioned earlier, it is a home within a home. So, how about we talk on how to decorate a fish tank with household items. 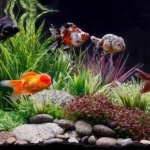 When we think about aquarium décor, the next question that comes into our mind is how to decorate a fish tank at home. This question creates a curiosity and leads us to think How to decorate a fish tank with household items. 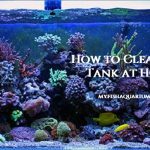 Before exploring the ideas to decorate the aquarium it is equally important to understand that your aquarium should satisfy the need of the species living in it. 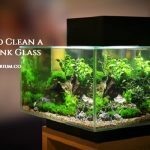 When it comes to decorating an aquarium, household items are the best alternative to the expensive accessories from the pet store. However, while using household items a few points must be kept in mind. No item should have sharp edges. This would lead to cuts to the fish and other species. The items should be rinsed before putting in use. Don’t use items coated with harmful chemicals. Used items should not change the pH value of water in the tank. Keeping all of these points in mind, now let’s discuss some cool ideas on how to decorate a fish tank with household items. Adding a poster, or a printed sheet in the background of fish tank draws attention. Chose a poster that adds a vividness to the tank in collaboration with your walls. Some may prefer the natural look, while some might go with the clear and aquatic theme. In today’s time, we have technology like 3D. So, you can print a 3D poster or background, which will not be that expensive. Use of this kind of posters at the background provides an illusion of depth. Using three-dimensional aquatic scenes would add an eye-catching element to your tank. You need a double tape and glue to stick the poster. 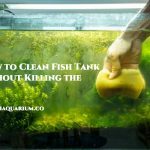 Make sure the size of the poster should match the height and width of the glass wall of the tank. An additional benefit of using the posters is that you can frequently change the view with minimal expense. It is always recommended to rub the background with a soft cloth and clean it before sticking the poster of your choice. Use of lights in accordance with the background will add a visual effect. The light will bring your tank to life during the night, or when placed in dark corners or places. Plants are another household item that gives a personal touch to the aquariums. This will certainly add a natural feel to your decoration. Based on the size of the tank, one can use either plastic plants or the real one. Plants made up of plastic are more colorful and they need less maintenance. On the other hand, real plants keep your water quality intact. They also produce Oxygen (O2) and absorb Carbon-Di-Oxide (CO2). However, real plant drop leaves and require timely cleaning. To achieve a better look, the tank must be equipped with good lighting and real Plants. An aquarium always looks elegant with either real or artificial plants. You only need to plan and maintain as per your preference. Plants have different heights and that’s why their placement in the tank must be at the appropriate location. To experience a better view, add large plants towards the back and smaller ones at the front. Toys give your fish tank a refreshing look. When we talk about the toys in the tank, we can’t miss Legos. They are the best toys to put in. To get the best out of the Legos, you need to use your imagination. They give you a broader aspect to create and build awesome shapes to put into your aquarium. There are so many possibilities to add livelihood and fun to the aquarium using toys. You can use old and small toys to create different themes. You can fix the toys in the bottom sand of the aquarium. You can also fix some toys at the glass walls; however, use non-toxic glues to fix them. Using old coffee mugs defines your creativity to décor your aquarium. They are easily available in the households and give a new glimpse to the tank. These mugs mostly suit décor home aquariums. Coffee mugs with messages add the element of conversation. Check the mugs beforehand to make sure that they are not broken and don’t have any sharp edges. Before using the mugs, one should be aware of the coatings on the surface of mugs. Sometimes they release toxic elements under water. Run your hand over the paintings made on coffee mugs, if you can’t feel the paint then it is good to use. Using vinyl stickers and logos gives you the scope to beautify the outside of the tank. Avoid using multiple stickers. For a better view, stick them either according to the theme or you can also create a theme from them. Place stickers on the sides and around the front edges to create a cool effect. Make sure they should not block the view to the interior decoration. Apart from this, you can use other household items like coins, old jewelry, sticks, and rocks. Creativity has no limits when it comes to“How to decorate a fish tank with household items”. We have multiple substances available at our home that can contribute to decorating the aquarium. We just have to look closely around. 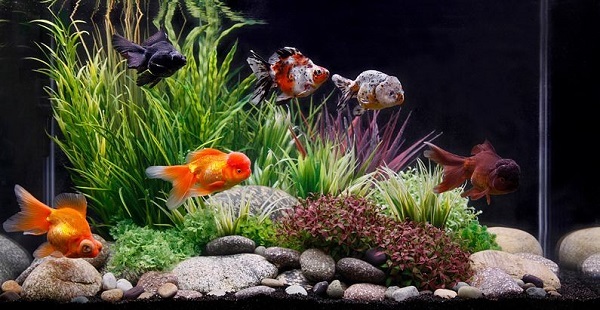 To decorate a fish tank at home, one can use any item as long as it is not toxic and harmful to the fishes. While working on different ideas to beautify the little home, you have to be careful all the time about what you are putting into the water. Using household items makes fish-tank decoration ideas cheap. These were only a few ideas on how to decorate a fish tank with household items. 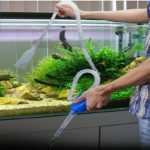 At the end of the day, decoration of fish tank is your personal preference and while using household items, it has no limits of creativity. So, use your creativity and make the best out of your household items to decorate your fish tank.